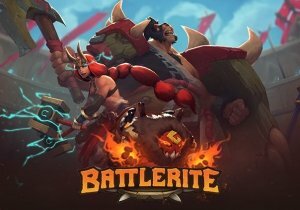 Stunlock Studios announced that Battlerite Royale is on the way – a combination of an Action MOBA/Arena Brawler with the Battle Royale survival gameplay that’s so very popular right now. Featuring spectacular fantasy landscapes on a map 30 times larger than the standard arena mode map, Battlerite Royale throws 20 players into a cutthroat island deathmatch, played “Free For All” or as a duo. Played from a top-down perspective using WASD controls and victory depending on factors such as skill, map awareness, situational builds and a tiny bit of luck, Battlerite Royale will be a truly different way to approach the Battle Royale mode. 27 unique champions will be on offer, giving a solid mix of playstyles, roles, and each will play differently. Mastering their abilities will be key to surviving the island, instead of running around looting and hoping for the best. World of Warcraft: Has Blizzard Run Out of Ideas? Editor's Note: Do note that this is just my opinion. You don't have to like it or agree, but it's definitely an opinion. Aura Kingdom Dev Preview + Giveaways!